As well as the aesthetic pleasure of a professionally stained deck (as you can see from pic above). It is very important to to apply a wood stain that will not only protect your deck from rain and snow, but the damaging UV rays from the sun. 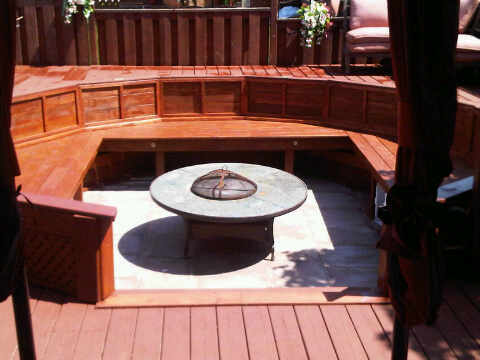 Because decks tend to have such a large, flat surface area, it has the potential to catch vast amounts of UV rays, increasing the graying and general deterioration of the wood over time. 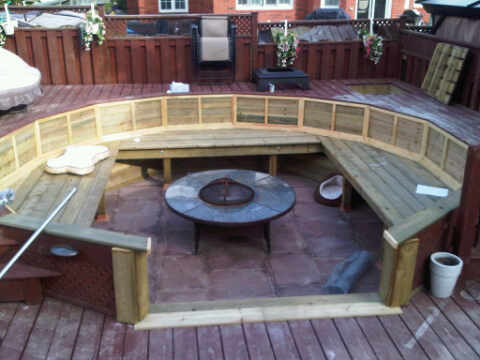 Read an overview of our deck staining services on our new website, Painters Painting Toronto. Next Next post: Should You Apply Bold Colours to Your Walls?